PCP periodically organises courses in the form of webinars about film budgeting and MovieMagic software. The Basic course consists of five 75-minute sessions structured with the dual purpose of demonstrating the navigation and functionality of Movie Magic Budgeting software and also giving an insight into how to budget a film. You will learn how to use fringes, globals, groups, currencies, printing functions whilst completing a dummy budget from Above the Line to Post Production and the Contractuals. 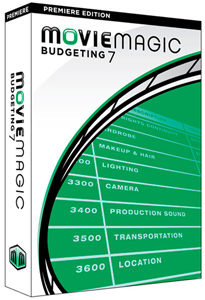 The course caters for beginners and for those who have never used Movie Magic Budgeting before. However some form of production experience is recommended. The Advanced course focuses more on the software itself and on both its basic and advanced features. It consists of two 90-minute sessions. It caters for Producers, Production Accountants, Production Managers, Independent Film Makers, UPMs, Estimators, and Financial Analysts, as well as those who have never used Movie Magic Budgeting before. Production experience is a recommended prerequisite. Courses are conducted by Malcolm Scerri-Ferrante who has over two decades of experience in the industry. The above courses may be paid by the session. If you are interested please send us an email using our contact form with "COURSE" in the subject box.